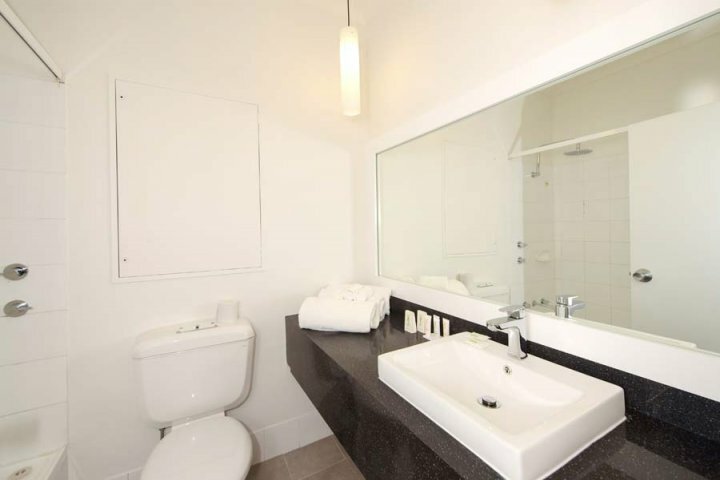 The Quality Sydney Airport is only 13km from business district of Sydney and offers guests an alternative from the city noise whilst providing the convenience of modern accommodation at an affordable price. Now there is more to enjoy at the Quality Sydney Airport. Sit back and enjoy a drink at the bar or simply surf the net at our internet kiosk. Quality Sydney Airport has a range of rooms to cater for a diverse market, including return airport transfers (a small fee of $6 per person per way applies going to and from the airport) and parking for $15 per night. Our restaurant is open for breakfast between 630am and 930am and for dinner between 500pm and 1030pm. Breakfast is a continental or full buffet, while dinner is short order a la carte. Please note This is a non-smoking property. All rooms are non-smoking. Our NEWLY REFURBISHED rooms are boutique by design. Brand new King Bed by King Koil, 40 inch LED Smart TV, dual docking station as well as FREE Unlimited High-Speed Wi-Fi. Plus everything you would expect for your stay, Coffee & Tea, Hair Dryer, Refrigerator and Iron with Ironing Board. Includes delicious buffet breakfast for 2 with your accommodation in our NEWLY REFURBISHED Standard King Room. Brand new King Bed by King Koil, 40 inch LED Smart TV, dual docking station as well as FREE Unlimited High-Speed Wi-Fi. Plus everything you would expect for your stay, Coffee & Tea, Hair Dryer, Refrigerator and Iron with Ironing Board. Our NEWLY REFURBISHED rooms are boutique by design. Brand new King Bed by Two Single Beds by King Koil, 40 inch LED Smart TV, dual docking station as well as FREE Unlimited High-Speed Wi-Fi. Plus everything you would expect for your stay, Coffee & Tea, Hair Dryer, Refrigerator and Iron with Ironing Board. 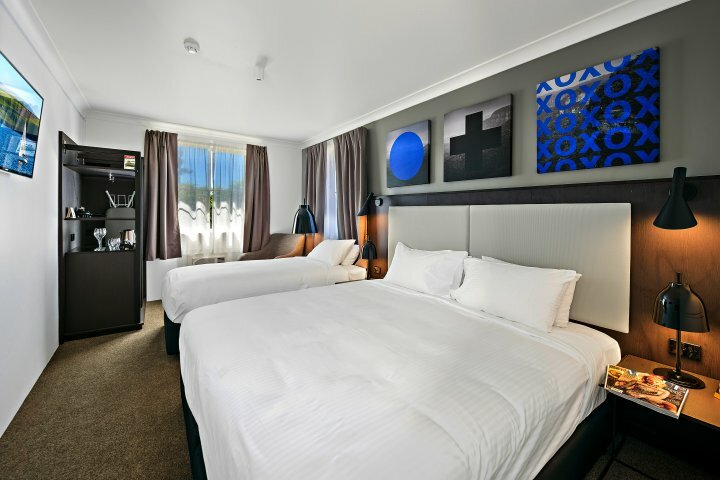 Includes on-site 7 nights parking for one vehicle and return shuttle transfers for 2 guests to Sydney Airport when you stay in our NEWLY REFURBUSHED Standard King Room. Brand new King Bed by King Koil, 40 inch LED Smart TV, dual docking station as well as FREE Unlimited High-Speed Wi-Fi. Plus everything you would expect for your stay, Coffee & Tea, Hair Dryer, Refrigerator and Iron with Ironing Board. Our NEWLY REFURBISHED rooms are boutique by design. Two single beds by King Koil, 40 inch LED Smart TV and dual docking station as well as FREE Unlimited High-Speed Wi-Fi. Plus everything you would expect for your stay, Coffee & Tea, Hair Dryer, Refrigerator and Iron with Ironing Board. Include a delicious buffet breakfast for 2 with your accommodation in our NEWLY REFURBISHED Standard Twin Room. Two single beds by King Koil, 40 inch LED Smart TV and dual docking station as well as FREE Unlimited High-Speed Wi-Fi. Plus everything you would expect for your stay, Coffee & Tea, Hair Dryer, Refrigerator and Iron with Ironing Board. Two single beds by King Koil, 40 inch LED Smart TV and dual docking station as well as FREE Unlimited High-Speed Wi-Fi. Plus everything you would expect for your stay, Coffee & Tea, Hair Dryer, Refrigerator and Iron with Ironing Board. 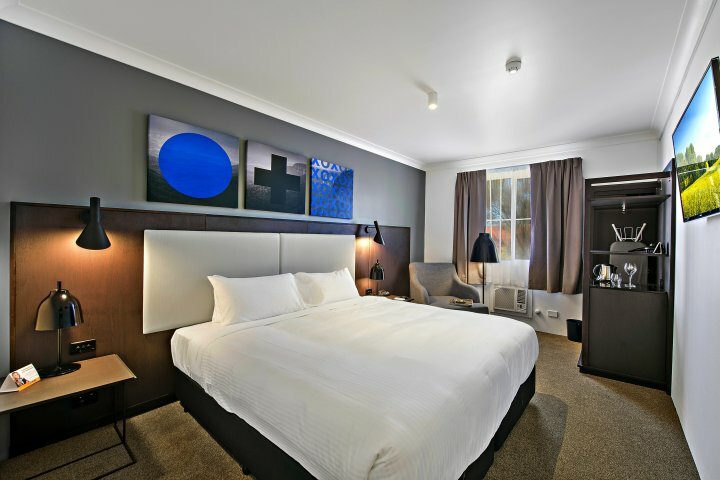 Includes on-site 7 nights parking for one vehicle and return shuttle transfers for 2 guests to Sydney Airport when you stay in our NEWLY REFURBUSHED Standard Twin Room. Two single beds by King Koil, 40 inch LED Smart TV and dual docking station as well as FREE Unlimited High-Speed Wi-Fi. Plus everything you would expect for your stay, Coffee & Tea, Hair Dryer, Refrigerator and Iron with Ironing Board. Our NEWLY REFURBISHED spacious Superior King Rooms provide a King Ensemble by King Koil, 3 Seater Chase Lounge and writing desk. Brand new King Bed by King Koil, 40 inch LED Smart TV, dual docking station as well as FREE Unlimited High-Speed Wi-Fi and Working Desk. Plus everything you would expect for your stay, Coffee & Tea, Hair Dryer, Refrigerator and Iron with Ironing Board. Includes delicious full buffet breakfast (for number of guests booked) when you stay in our Superior King Room. Brand new King Bed by King Koil, 40 inch LED Smart TV, dual docking station as well as FREE Unlimited High-Speed Wi Fi and Working Desk. Also features a 40 inch LED smart TV, dual docking station plus FREE Unlimited High-Speed Wi-Fi and a complimentary bottle of water. Plus everything you would expect for your stay, Coffee & Tea, Hair Dryer, Refrigerator and Iron with Ironing Board. 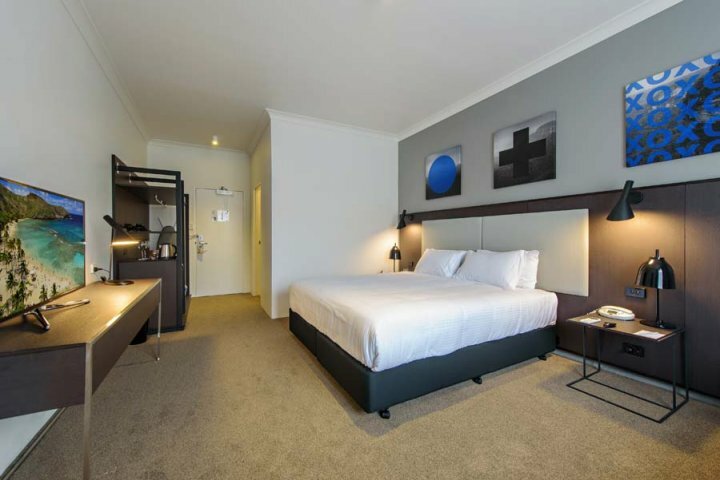 Include on-site 7 night parking for one vehicle and return shuttle transfers (for number of guests booked) to Sydney Airport when you stay in our NEWLY REFURBISHED Superior King Room. Brand new King Bed by King Koil, 40 inch LED Smart TV, dual docking station as well as FREE Unlimited High-Speed Wi-Fi and Working Desk. Plus everything you would expect for your stay, Coffee & Tea, Hair Dryer, Refrigerator and Iron with Ironing Board. Our NEWLY REFURBISHED spacious Superior Twin Rooms provide a King Ensemble by King Koil, 3 Seater Chase Lounge and writing desk. Brand new Two King Beds by King Koil, 40 inch LED Smart TV, dual docking station as well as FREE Unlimited High-Speed Wi-Fi and Working Desk. Plus everything you would expect for your stay, Coffee & Tea, Hair Dryer, Refrigerator and Iron with Ironing Board. Includes delicious full buffet breakfast (for number of guests booked) when you stay in our Superior Twin Room. Our NEWLY REFURBISHED spacious Superior King Rooms provide a King Ensemble by King Koil, 3 Seater Chase Lounge and writing desk. Brand new King Bed by King Koil, 40 inch LED Smart TV, dual docking station as well as FREE Unlimited High-Speed Wi-Fi and Working Desk. Plus everything you would expect for your stay, Coffee & Tea, Hair Dryer, Refrigerator and Iron with Ironing Board. Our NEWLY REFURBISHED spacious Superior Twin Rooms provide a King Ensemble by King Koil, 3 Seater Chase Lounge and writing desk. Brand new Two Single Beds by King Koil, 40 inch LED Smart TV, dual docking station as well as FREE Unlimited High-Speed Wi-Fi and Working Desk. Plus everything you would expect for your stay, Coffee & Tea, Hair Dryer, Refrigerator and Iron with Ironing Board. 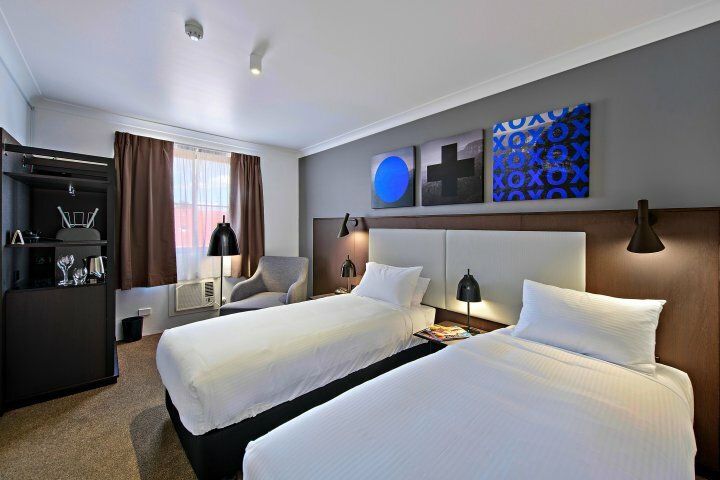 Includes on-site 7 night parking for one vehicle and return shuttle transfers (for number of guests booked) to Sydney Airport when you stay in our NEWLY REFURBISHED Superior King Room. Brand new Two Single Beds by King Koil, 40 inch LED Smart TV, dual docking station as well as FREE Unlimited High-Speed Wi-Fi and Working Desk. Plus everything you would expect for your stay, Coffee & Tea, Hair Dryer, Refrigerator and Iron with Ironing Board. Formerly known as Airport Sydney International Inn. Please note that our restaurant will be closed for dinner on Thursday 25 December 2014. Car Parking is available for guests for the duration of their stay only at a rate of $15.00 per vehicle per night. Quality Sydney Airport is located adjacent to the international and domestic airport terminals. The hotel offers return airport transfers for a cost of $6 per person each way with Sydney Super Shuttle, please contact the hotel for a timetable. 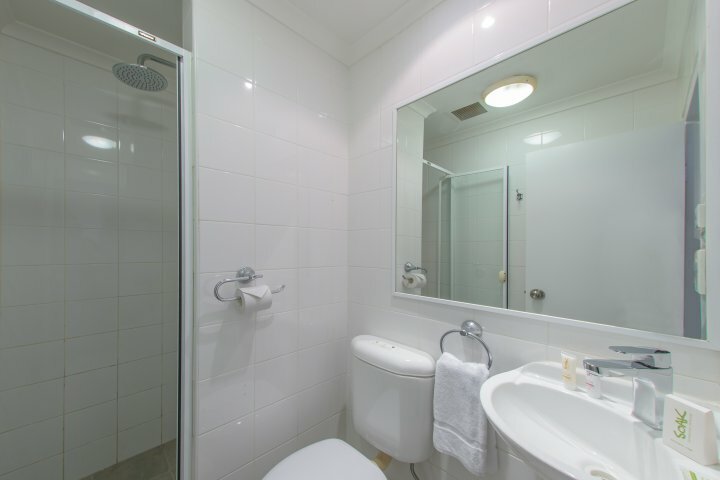 Alternatively, the hotel is a 10 minute walk from the Wolli Creek train station, or a 15 minute taxi ride from the Sydney CBD. From the city centre take South Dowling Street South. This becomes Southern Cross Drive. Turn right into General Homes Drive to the airport and continue past the domestic and international terminals. Once past the international terminal, turn left over the Cooks River bridge onto Marsh Street. Take the second left into Innesdale Road the first right onto Levey Street. The hotel entrance is on the left. From the International arrivals terminal, from Arrivals court veer onto Cooks River avenue . This becomes Marsh Street. Take the first right into Innesdale Road and the first right onto Levey Street. The hotel entrance is on the left. From the Domestic arrivals terminal, first turn left onto Qantas Drive this becomes Airport Drive. Take the first right into Innesdale Road and the first right onto Levey Street. The hotel entrance is on the left. Quality Sydney Airport is next to the Kogarah Golf Course and Cahill Park. Two Valley Trail, the only bushland close to the city, is within walking distance and ideal for walking, birdwatching and has great views. 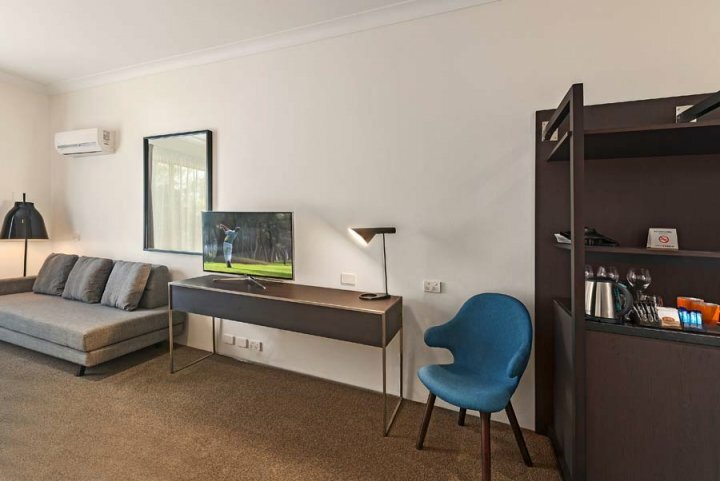 The hotel is also only 10 minutes from the Sydney CBD offering direct access to all of Sydney's major attractions including Fox Studios, Centennial Park and Sydney Cricket Ground.